IS THE MEETING OF ZORBA AND THE BUDDHA REALLY POSSIBLE? IF IT IS SO, THEN WHY HAVE OTHER RELIGIOUS LEADERS NEVER THOUGHT ABOUT IT? The first thing to be understood: I am not a religious leader. A religious leader cannot think, cannot see the way I can -- for the simple reason that he has immense investment in religion; I have none. Religions are necessarily splitting man, creating a duality in the human mind; that is their way of exploiting you. If you are whole, you are beyond their control. If you are cut in fragments, all your strength is destroyed, all your power, your dignity abolished. Then you can be a Christian, a Hindu, a Mohammedan. If you are left just the way you are born -- natural, without any interference from the so-called religious leaders, you will be a man of freedom, independence, integrity. You cannot be enslaved. And all your old religions are doing nothing but enslaving you. To enslave you, they have to create a conflict within you so you start fighting with yourself. And when you are fighting with yourself, two things are bound to happen. First, you will be miserable, because no part of you can ever be victorious, you will be always defeated. Second, a guilt is produced in you that you are not worthy enough to be called a real, authentic human individual. This is what the religious leaders want. A deep feeling of unworthiness within you makes them leaders of men. You cannot depend on yourself because you know you cannot do anything. You cannot do what your nature wants, because your religions prevent it. You cannot do what your religions want, because your nature is against it. You find yourself in a situation where you cannot do anything; somebody else is needed to take your responsibility. Your physical age goes on growing -- your mental age remains retarded, just nearabout thirteen. These retarded people are in great need of somebody to guide them, somebody to lead them to the goal of life, to the meaning of life. They themselves are incapable. Religious leaders could not have thought of the meeting of Zorba and Buddha, because that would have been the end of their leadership and the end of their so-called religions. Zorba the Buddha is the end of all religions. 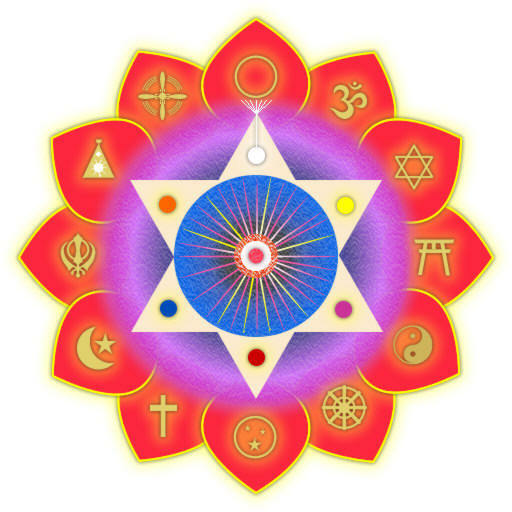 It is the beginning of a new kind of religiousness which needs no labels -- Christianity, Judaism, Buddhism. One is simply enjoying oneself, enjoying this immense universe, dancing with the trees, playing on the sea beach with the waves, collecting seashells for no other purpose -- just for the sheer joy of it. The salty air, the cool sand, the sun rising, a good jog -- what more do you want? To me, this is religion -- enjoying the air, enjoying the sea, enjoying the sand, enjoying the sun -- because there is no other God than existence itself. Zorba the Buddha, on the one hand, is the end of the old man -- his religions, his politics, his nations, his racial discriminations, and all kinds of stupidities. On the other hand, Zorba the Buddha is the beginning of a new man -- a man totally free to be himself, allowing his nature to blossom. There is no conflict between Zorba and Buddha. The conflict has been created by the so-called religions. Is there any conflict between your body and your soul? Is there any conflict between your life and your consciousness? Is there any conflict between your right hand and your left hand? They are all one in an organic unity. Your body is not something to be condemned but something to be grateful for, because it is the greatest thing in existence, the most miraculous; its workings are just unbelievable. All the parts of your body are functioning like an orchestra. Your eyes, your hands, your legs are in some inner communion. It is not that your eyes want to go towards the East and your legs are going towards the West, that you are hungry but your mouth refuses to eat: hunger is in your stomach, what has it to do with the mouth? -- the mouth is on strike. No, your body has no conflict. It moves in some inner synchronicity, always together. And your soul is not something opposed to your body. If your body is the house, the soul is your guest. And there is no need for the guest and the host to continuously fight. But religions could not exist without you fighting with yourself. My insistence on your organic unity, so that your materialism is no longer opposed to spiritualism, is basically to demolish all religions from the earth. Once your body and soul start moving hand in hand, dancing together, you have become Zorba the Buddha. Then you can enjoy everything of this life, everything that is outside you, and you can also enjoy everything that is within you. In fact, within and without are totally different dimensions; they never come in conflict. But thousands of years of conditioning, that if you want the inner you have to renounce the outer, has taken deep roots in you. Otherwise, it is such an absurd idea.... You are to enjoy the inner -- what is the problem in enjoying the outer? The enjoyment is the same; that is the joining link between the inner and the outer. Listening to beautiful music, or looking at a great painting, or seeing a dancer like Nijinsky -- it is outside you, but it is in no way a hindrance for your inner rejoicing. On the contrary, it is a great help. The dance of Nijinsky may bring out the dormant quality of your soul so that it can also dance. The music of a Ravi Shankar may start playing on the strings of your heart. The outer and inner are not divided. It is one energy, two ends of one existence. Zorba can become Buddha more easily than can Pope the Polack. There is no possibility for Pope the Polack, no possibility for your so-called saints to become really spiritual. They don't know even the joys of the body. How can you think they will be able to know the very subtle joys of the spirit? The body is the school where you learn, in shallow water, to swim. And once you have learned swimming, then it does not matter how deep the water is. Then you can go to the deepest part of the lake; it is all the same to you. And when I say this, I am not simply propagating a philosophy. I am making a statement of my own experience; hence, you can feel the authority in my words. But you must be reminded about Buddha's life. Up to his twenty-ninth year, he was a pure Zorba. He had the best young girls available in his kingdom, by the dozen. His whole palace was full of music and dance. He had the best food, best clothes, beautiful palaces to live in, great gardens. He lived more deeply than poor Zorba the Greek. Zorba had only one Bubulina -- an old, faded woman, a prostitute who had lost all her customers. She had false teeth, false hair -- and Zorba was her customer only because he could not afford to pay. You call him Zorba? -- and you forget completely the twenty-nine years of Buddha's life which were far richer. Day in, day out, he was simply living in luxury, surrounded by everything that he could imagine. He was living in a dreamland. It was this experience that turned him into a buddha. It has not been analyzed this way. Nobody bothers about the first part of his life -- which is the very base. He became fed up. He tasted every joy of the outside; now he wanted something more, something deeper, which was not available in the outside world. For the deeper you have to jump in. At the age of twenty-nine he left the palace in the night in search of the inner. It is Zorba going in search of the buddha. Zorba the Greek never became a buddha for the simple reason that his zorbahood is incomplete. He is a beautiful man, full of zest, but a poor man. He wants to live life in its intensity, but he has no opportunity to live it. He dances, he sings, but he does not know the higher nuances of music. He does not know the dance where the dancer disappears. The Zorba in Buddha knew the highest and the deepest parts of the outside world. Knowing it all, now he was ready to go on an inner search. The world is good, but not good enough; something more is needed. It gives momentary glimpses; the Buddha wants something eternal. And all these joys will be finished by death. He wants to know something which cannot be finished by death. If I have to write Gautam Buddha's life, I will start it from Zorba. And when he is completely acquainted with the outer and whatever the outside can give, and still finds the meaning missing, he goes in search -- because that is the only direction that he has not looked in. He never looks back -- there is no reason to look back, he has lived it all! And he is not just a religious seeker who has not known the outer at all. He is a Zorba -- he goes towards the inner with the same zest, with the same strength, the same power. And, obviously, he finds in his innermost being the contentment, the fulfillment, the meaning, the benediction that he has been seeking. It is possible you can be a Zorba and stop there. It is possible you may not be a Zorba and start looking for the buddha -- you will not find him. Only Zorba can find the buddha; otherwise, you don't have the strength: you have not lived in the outside world, you have avoided it. You are an escapist. To me, to be a Zorba is the beginning of the journey, and to become a buddha is reaching the goal. And it can happen in the same individual -- it can only happen in the same individual. That's why I am insisting continuously: don't create any split in your life, don't condemn anything of the body. Live it -- not unwillingly -- live it totally, intensely. That very living will make you capable of another search. That's why I don't say my sannyasins have to be ascetics, that my sannyasins have to leave their wives, their husbands, their children. All that nonsense has been taught for centuries, and how many people -- out of millions of monks and nuns -- how many people have blossomed? Not even a single one. I want you to live life undivided. And first comes the body, first comes your outer world. The moment the child is born he opens his eyes, and the first thing he sees is the whole panorama of existence around him. He sees everything except himself -- that is for more experienced people. That is for those who have seen everything of the outside, lived it, and are freed from it. Freedom from the outside does not come by escaping. Freedom from the outside comes by living it totally, and then there is nowhere to go. 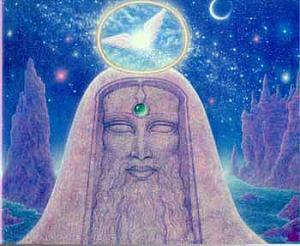 Only one dimension remains, and it is natural that you would like to search in that remaining dimension. And there is your buddha, your enlightenment. You are saying, "Is it possible that Zorba and Buddha can meet?" That is the only possibility. Without Zorba there is no Buddha. Zorba, of course, is not a full stop. He is the preparation for the Buddha. He is the roots; Buddha is the flowering. Don't destroy the roots; otherwise there is not going to be any flowering. Those roots continuously supply the juice to the flowers. All the color in the flowers comes from the roots, and all the fragrance in the flower comes from the roots. All the dance of the flowers in the wind comes from the roots. Do not divide. Roots and flowers are two ends of one phenomenon. I HAVE BEEN HERE FOR THREE YEARS NOW, AND STILL CANNOT SIT CLOSER TO YOU THAN THE FIFTH ROW. I FEEL SO HURT THAT I AM NOT WORTHY ENOUGH TO BE CLOSER. IS IT BECAUSE I AM A FARMER NOW AND STINK TOO MUCH? You are not unworthy, you are just unaware of a simple thing: that I only see the fifth row! The people who are sitting in the four rows ahead, I don't see them. So be a farmer, and stink as much as you want! But the fifth row is not unfortunate. From this place my eyes are focused on the fifth row. Meaning can be understood in two ways. There is meaning that is somewhere far away, you have to reach to it. It is extrinsic. Life is not meaningful in this first sense. And it is good that life is not meaningful in that sense, because then life becomes only a means to reach to the faraway goal, the faraway star. Then life loses its autonomous beauty. It is just a way; the real thing is tomorrow. Meaning has another category too: intrinsic. Life is tremendously meaningful in the second sense. Then meaning is not separate, somewhere else; then meaning is in the very living itself. You don't ask, has love any meaning? You know love is itself meaningful, it is not a means to some end. You do not ask if the beauty of a rose is meaningful. The beauty itself is enough; it does not lead anywhere, it contains its meaning within itself. In existence everything that is really valuable is always intrinsically meaningful. And life is equivalent to existence. Life has meaning. If you just change the word "life" into "living," you will be able to understand more easily. Living has meaning -- each moment -- because living is not something dead like "life." The word "life" is dead -- all nouns are dead. But the language is created by dead people. Some day the new man is going to create a language which consists only of verbs, because that will be authentic to existence. In existence there is no noun. Have you seen "life"? Have you met "life" anywhere? All that you meet, experience, is living. Sipping a cup of tea, going for a morning walk, doing your work -- all these small activities make up your living. And each part, each moment of living, is meaningful. You just have to be there; otherwise, who is going to experience the meaning? People go on drinking tea, but they never are there; their minds are wandering all over the world. People are making love, but they are not there. It is a very strange world that we have created. In one bedroom there are at least four people. Already the bedrooms are so small, too difficult for two people; and in the bed there are four people, or even more. These two people who are making love are not there: the man is thinking of some Hollywood actress, the woman is thinking of Muhammad Ali. So there are four people. Who is making love to whom? These two people are simply going through the gestures of love -- they are not present -- mechanical gestures of love. And then they ask, "Is there any meaning in life?" You go on losing every moment by your absence. When I was a student, my principal in the high school was continuously troubled by my absence from the school. My family was troubled. I would start going to school, but never reach there. Life was so much, and so many things were happening on the way... and the school was almost one mile away from the house. The principal called me one day and said, "You are almost always absent." I said, "That's where you are wrong." I said, "I am always present wherever I am. To be absent is not my style of life. And what can I do? -- this one mile between the school and my house.... A magician was doing his tricks on the street, and I became present there. It was far more interesting than your teachers, and I learned more than I could have learned here -- because whatever your teacher is saying I can read in the book, but I will never meet that magician again. And he did such beautiful tricks that when he was finished I followed him to his tent outside the city. "He asked me, 'Son, why are you following me?' I said, 'You are getting old. Don't you want your tricks to live on even when you are gone?' He said, 'That seems to be meaningful! -- you can come in. Many people have asked me to teach them the tricks, but not in this way.' So I have been with the magician. "Life is a bigger school than your school. And I am, each moment, present wherever I am. To be absent is not my style of life, so you please take your words back." He said, "In that case I will have to see your father." I said, "You can see anybody you like, but remember that my father knows me perfectly well. Just let me be informed when you are coming so I can also be present there. You both will be absent -- because my father is continuously busy with his business, and you are busy with who is absent, who is present. At least let somebody into that meeting who is present!" I told him, "Be honest and sincere and tell me: Are you present right now?" He said, "My God, perhaps you are right. I was thinking of my buffalo -- she has not returned for two days." I said, "You need not be worried, I know where she is. That's the beauty of being present everywhere! I have seen her just by the side of the tent of the magician. Now what do you say: Was it more worthwhile my coming to the class, or finding your lost buffalo? You can go and catch hold of her." People are not there where they seem to be. This is why they go on missing the meaning of life. Just remain present to any small act you are doing. It does not matter -- you don't have to do great acts, become a world conqueror, go to the moon, or stand on top of Everest; it does not matter what you do. Wherever you are, and whatever you are doing -- or not doing -- be present, and the meaning of life will start unfolding. It is tremendously blissful. But don't seek it somewhere else -- in a church, in a temple, in a holy book. You will not find it. Even if you come across God -- who, by the way, does not exist -- but even if you come across God, you will not be present. You may be thinking of your buffalo. It is good that God is not there; otherwise, he would be so embarrassed by all these saints of all the religions, because none of them is present to the moment. They are living a life somewhere else in the tomorrows -- and today goes on slipping by, and the tomorrow never comes. Finally comes death, not tomorrow. Life is today! Tomorrow is death. So when you come across death, it is a great shock that life has gone by and you have not been able to find any meaning in it. And now there is no tomorrow left, and you are accustomed to search for meaning in the tomorrows. But you have been told about, taught about, prepared for, tomorrows. If you understand me... I want you always to be present wherever you are. It does not matter where you are; just be totally present, and every small act, by your presence, will become lighted up, and you will know that your whole life becomes just a caravan of lights. That's the meaning. Death comes and goes, but the caravan continues. WHY DO YOU SAY THAT YOU ARE NOT A SAVIOR? All the saviors, all the prophets, all the messengers of God have failed you, have deceived you. I don't think their intentions were bad; I never suspect anybody's intention. But the point is not the intention; the point is the result. These saviors, messiahs, prophets, may have been thinking they are doing good to you, but they have done immense harm to humanity. First, they made you dependent. They took away your responsibility with their own hands. If somebody takes away your money, nothing is taken; money you can earn again. But if somebody takes your responsibility, you are destroyed, you are almost instantly killed. To be responsible for yourself is the very life of your being. And these saviors were saying, "You have just to be faithful, and to save you is our responsibility." I don't take anybody's responsibility, because I don't want to destroy you. Your responsibility is your dignity, your very pride in being human beings. Secondly, I am not a savior because I don't want to be crucified. I don't like that idea at all. I am a very contemporary man, I prefer an electric chair; crucifixion is too primitive and crude. And to be a savior, to be crucified seems to be something essential; otherwise, nobody is going to believe that you are a savior. Do you know how many followers Jesus had before crucifixion? You could have counted them on your fingers. And how many followers does he have after his crucifixion? Christianity is the greatest religion in the world, has the largest number of people. Is it not strange? Jesus alive -- not a single learned man was impressed by him, not a single rabbi was his follower. And Judea, his country, was full of learned scholars; rabbis were not a rare commodity. Whom could he influence? -- twelve illiterate, uneducated people! But after his crucifixion a great change came over the world. Crucifixion did a miracle. This is the human mind. If you are living in a beautiful house, nobody comes to say to you, "Your house is really beautiful, and to pass on the street and see the house makes one feel so joyous." Nobody will come. But if the house is on fire, then the whole neighborhood will gather together to sympathize with you. And these are the same people who were jealous. Perhaps these were the same people who had thought, "If something happens to this house, if it is burned, destroyed, it will be good: it was an eyesore." The same people are sympathizing. What has happened? Now they are feeling themselves to be better than you. Your house is burned, their houses are not burned: God is more favorable to them. He has destroyed your house because it has become too much of an ego trip to you. But this is the moment to sympathize, because in sympathy the sympathizer has the upper hand. When Jesus was crucified, a wave of sympathy... and many who had never thought about the man at all became Christians. In fact, he was crucified under the orders of the Roman emperor, by his governor-general, Pontius Pilate, on the request of the chief rabbi of the Jews. But after his crucifixion Rome became the capital of Christianity and it still remains so; the Vatican is just by the side of Rome. The whole of Italy is Christian. Strange, the way human mind functions. I am not interested in creating a religion. I want everybody to be responsible for himself; I don't want to be anybody's savior. Nobody has ever been, they were all pretending. And I don't want to be counted with those pretenders. And, of course, I don't want to be crucified, because that crucifixion will create great sympathy for me, and that sympathy will become a religion. I do just the opposite. I live in absolute luxury. You can see my collection of Rolls Royces, you can see my collection of diamond watches. Nobody is going to sympathize with such a man.